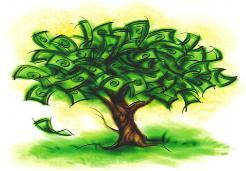 Do you have prosperity, money and resources for any need? Have you ever felt there was no way out, and life was hopeless? Money and jobs were hard to find, and it goes out quicker than it comes in? In OK, GOD, Now What you’ll discover a new dimension of potential for your growth, a prospective that will move you beyond what you thought possible as you become aware of the power of Truth + Belief = Results. And this process will open wondrous financial doors, greater than you ever thought possible. Let's take a look at Anton, who is a young man in the Bahamas. 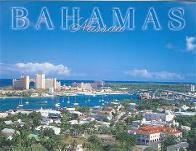 He lives on an island not far from Nassau. Anton is s recent college graduate in computer science, but from a poor family. He had been raised in Church, but there was a problem, he was not seeing God anywhere. Broke and living with his sister, he did not know what do to. And he had developed quite a chip on his shoulder at anyone that offered advice; he’s fought them and put a wall up right away. He started reading and could not stop. He got excited at the truth in the teaching in section 1, and at the power in the Christ Affirmations Magnets in section 2. Truth + Belief = Results started to work for him. As he read Affirmation Magnet 35 on page 252, he started to understand that the scripture in Deut 8:18, where it says “God gives you the power to get wealth,” included the desire for education, integrity and solving people’s real problems, by providing real value, they will pay for. Soon business opportunities came his way. He was helping others and getting paid for it. His freelance computer business has taken off, and he now has several employees. His church life has also taken off and he is seeing answers to prayers that are beyond his imagination. And he is teaching others to do the same. His new identity in Christ has become the foundation of a life that looks destined for greatness and love. And he is having fun like he never thought possible. And guess what? He finally saw God! And so can you. 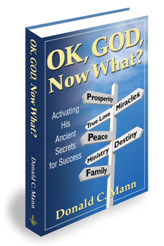 It is easier than you think with the OK, GOD, Now What program. Note: Names and locations changed to protect privacy.